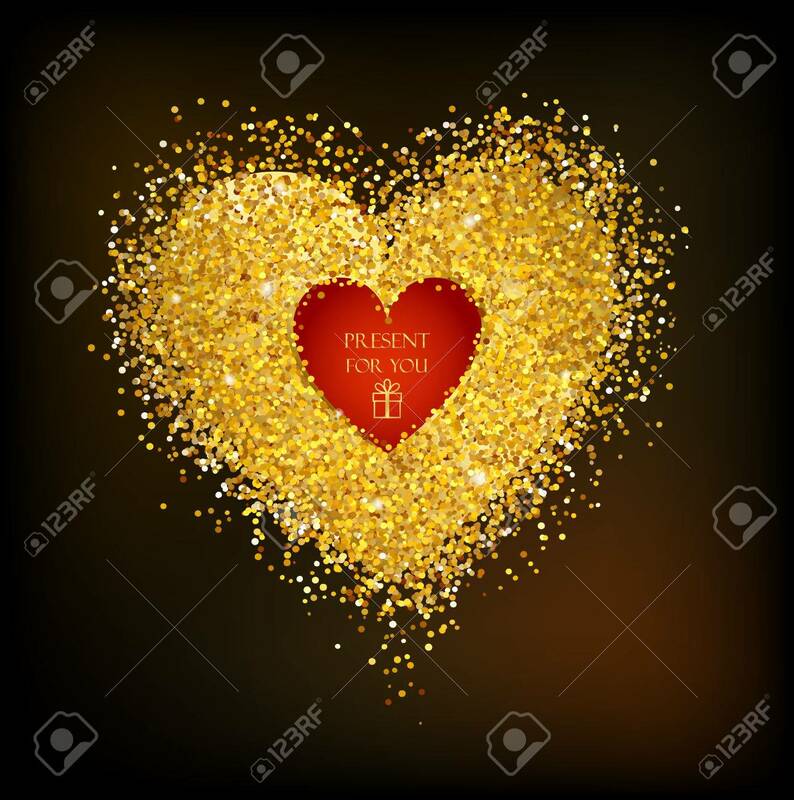 Golden Frame In The Shape Of A Heart Made Of Golden Confetti.. Royalty Free Cliparts, Vectors, And Stock Illustration. Image 49780699. Vector - Golden frame in the shape of a heart made of golden confetti on black background. Golden frame in the shape of a heart made of golden confetti on black background.